May 30, 2017 – Before Cassini entered its Grand Finale orbits, it acquired unprecedented views of the outer edges of the main ring system. 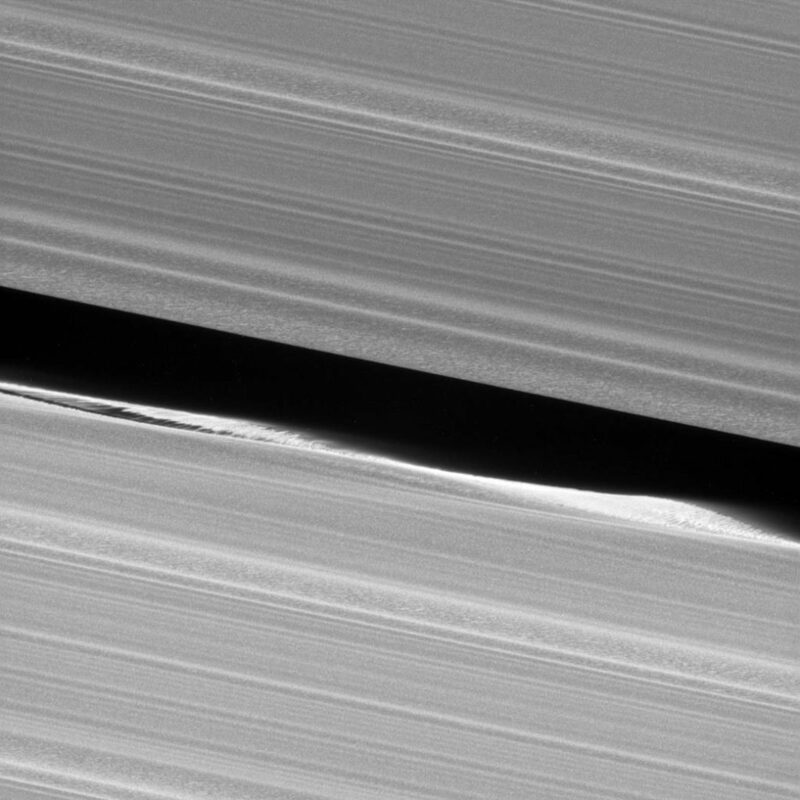 For example, this close-up view of the Keeler Gap, which is near the outer edge of Saturn’s main rings, shows in great detail just how much the moon Daphnis affects the edges of the gap. This view looks toward the sunlit side of the rings from about 3 degrees above the ring plane. The view was acquired at a distance of approximately 18,000 miles (30,000 kilometers) from Daphnis and at a Sun-Daphnis-spacecraft, or phase, angle of 69 degrees. Image scale is 581 feet (177 meters) per pixel. The image was taken in visible light with the Cassini spacecraft narrow-angle camera on January 16, 2017.